The United States long-suspected Pakistan of sheltering Mullah Omar and even confronted then President Asif Ali Zardari in 2011 over intelligence inputs that the one-eyed Taliban supremo was being treated at a Karachi hospital, according to a media report. In early 2011, then-Central Intelligence Agency Director Leon Panetta confronted Zardari with a disturbing piece of intelligence that Mullah Omar, the Taliban leader who had become one of the world's most wanted fugitives after the September 11, 2001, attacks, was being treated at a hospital in southern Pakistan, the Washington Post reported. The American spy chief even identified the facility -- the Aga KhanUniversityHospital in Karachi -- and said the CIA had "some raw intelligence on this" that would soon be shared with its Pakistani counterpart, the report said citing diplomatic files that summarise the exchange. Their meeting in January 2011 came when Zardari was in the US to attend a memorial service for US diplomat Richard Holbrooke. Former US and Pakistani officials were quoted as saying that Panetta's disclosure was designed in part to prod Pakistan to detain Mullah Omar but also to serve notice that the CIA was aware of the Taliban leader's presumably sanctioned presence in Pakistan. Other US officials also made clear in other meetings their belief that Pakistan was protecting Mullah Omar and other elements of the Taliban, the report said. In Islamabad in 2011, Vice President Biden warned then-Prime Minister Yousuf Raza Gilani that relations with Afghanistan would not improve until Pakistan answered difficult questions including "what do we say about Mullah Omar," the report said citing a diplomatic document. havens to terrorists...senior leadership of the Quetta Shura including Mullah Omar resides between Karachi and Quetta," according to a third diplomatic document cited by the report. 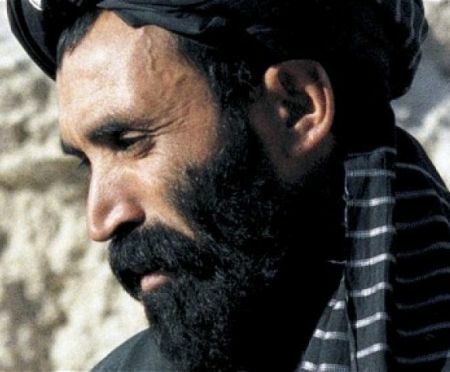 US intelligence officials now think that Mullah Omar probably died two years later, in 2013, and Afghan officials said this week that he succumbed while being treated for a serious illness in a Karachi hospital, just as those earlier intelligence reports had indicated. Current and former US officials said that despite intermittent intelligence on Mullah Omar's whereabouts, there was never a concerted push to find him that remotely approached the scale of the manhunt for al-Qaeda leader Osama bin Laden. The Taliban on Thursday confirmed the death of Mullah Omar in a statement. The statement did not say when and where he died but said "his health condition deteriorated in the last two weeks".